This article is about the character. For the guest star, see Trombone Shorty. Trombone Shorty is a musician from New Orleans. 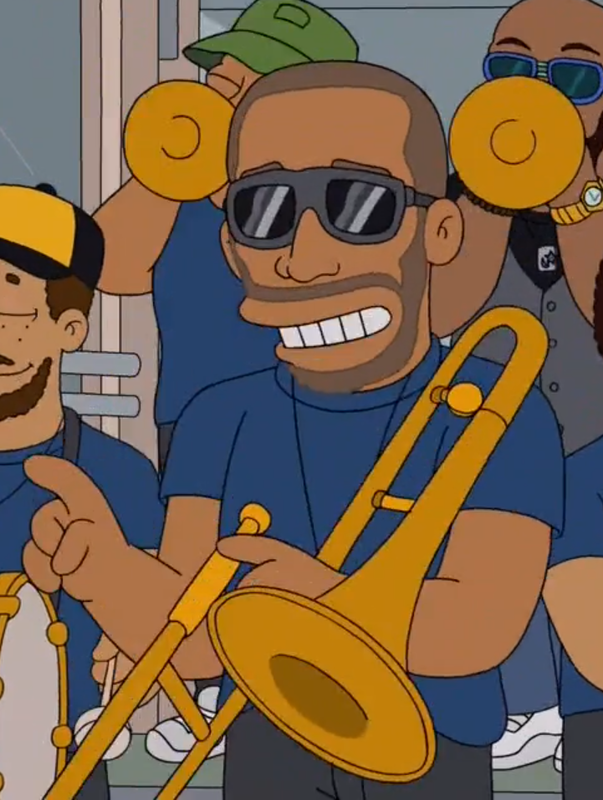 When the Simpson family went to New Orleans, they saw a group of jazz musicians playing music under a banner that said "Celebrate", one of which was Trombone Shorty. Marge asked him what he was celebrating and Shorty said that he was celebrating humidity at 98%. His trombone then started to melt. Modified on April 23, 2018, at 10:13.